The Level 3 Level 3 NVQ Diploma in Construction Contracting Operations will develop knowledge and skills in areas such as: developing and maintaining working relationships, preparing and processing invitations to tender, preparing programmes and schedules of work, operating project information systems, and operating health, safety and welfare systems in construction. Learners can specialise in several different areas of Construction Contracting Operations. The qualification is designed to ensure competence in Construction Contracting Operations. Learners can build on the skills and knowledge gained from achievement of this qualification when working towards achieving another qualification or gaining employment. The Diploma will provide a sound basis for working or advancing in the subject area for a range of potential learners. As a work-related, competence-based qualification it will provide, on completion, confirmation to employers and industry managers and card schemes that learners have the skills and knowledge needed to progress to a range of jobs in the construction sector. Competence is displayed through the assessor observing the learner at work. The learner will demonstrate that they carry out their normal work activities competently and to the industry standard and comply with currently legislation and company procedures. The assessment process will ensure that the learner can complete the tasks that they have been directed to undertake and that they can interpret the instructions correctly. They will demonstrate that they can select the appropriate resources for the task. They will also demonstrate that they can complete tasks within the given timescales and specifications. This qualification is a mandatory component in the Construction Technical Apprenticeship. Learners may progress from the Level 3 NVQ Diploma in Construction Contracting Operations to a range of qualifications at a higher level, including Construction Site Supervision at QCF level 4. 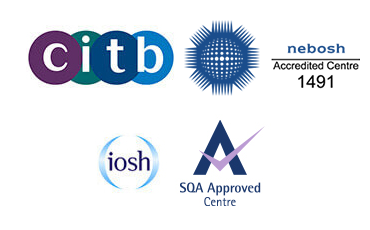 They can also progress to SQA’s Level 6 NVQ Diploma in Construction Contracting Operations. This qualification can lead to employment within the construction industry.